Seamless design that fits in your hand A smooth, rounded form and a full-width 5” display, that leaves the frame barely visible. With a power-efficient processor you get a quicker and smoother user experience, whether you’re browsing the web, watching a video or playing your favourite game. Experience it all in super-fast 4G. Best-in-class camera in an elegant, seamless design. Take your best shots with the help of Sony camera expertise. 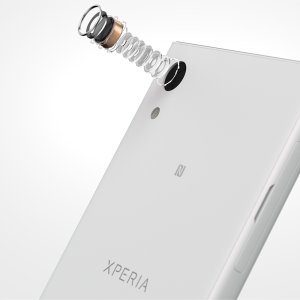 The Xperia XA1 boasts a 23MP camera with Exmor RS for mobile sensor and F2.0 lens. Order your Xperia XA1 online now at Jumia Kenya and have it delivered straight to your doorstep. 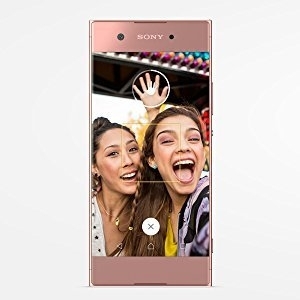 The Xperia XA1 has a 23 MP main camera with updated Sony Exmor RS image sensor for high-resolution photos, Hybrid Autofocus, 0.6 second quick capture, and a camera shutter button with Quick Launch to quickly capture blur-free photos. 24mm wide-angle F2.0 lens and ISO6400 support for low-light pictures. Stable video capture with Sony SteadyShot. The Xperia XA1's front-facing camera has a wide-angle lens and a hand shutter to trigger the perfect selfie. 5” borderless display with scratch-resistant Corning Gorilla Glass and curved glass edges.